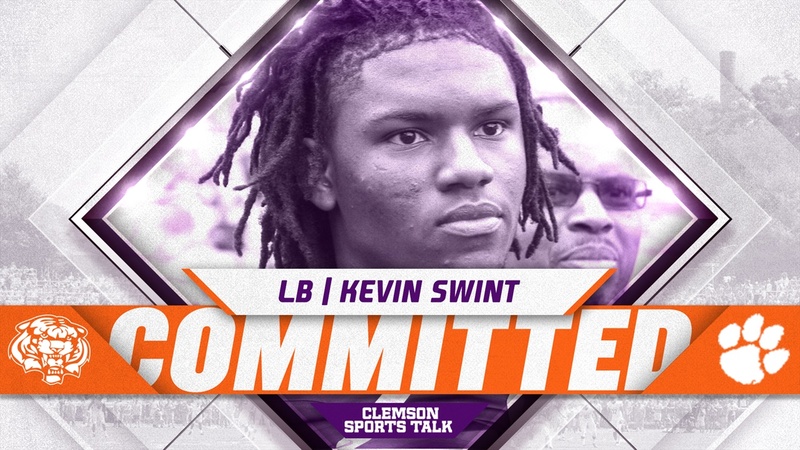 Kevin Swint‍, a known longtime lean to Clemson, became the sixth commit to the promising 2020 football class on Saturday afternoon. The 6-foot-3, 227 pound Carrollton High, Ga. linebacker is the second linebacker for 2020 joining another Georgia native Peach State High’s Sergio Allen. The future teammates recently played with Team Commitment in the Georgia Junior Bowl game. The pair had a combined 10.5 tackles as Swint had 5.5, while Allen had 5, which placed them first and second in total tackles on their squad. Swint has spent time at defensive tackle, end, tight end and linebacker at Carrollton. He is projected as only an inside or outside linebacker for Brent Venable’s defense, but his added weight from last season could get him a look at defensive end in Clemson too.